Belatedly, but still: weekend photos. Some proteas (not from the weekend, but who’s checking anyway), a specific startrail (despite the brightest moon EVER! ), some shipwreck (I didn’t know which one I liked best, so I shared four) and some birdage (taken by my daughter). Gemors being Afrikaans for a mess. Because that’s what I can like to be in with my photos right now. The photos from last weekend still aren’t done. I just haven’t had chance. When I did have chance, I was away taking more photos in a place with no computer. And now I’m all mixed up, because some of the photos from this weekend are done. That’s because there are far fewer of them, so I just grabbed a couple (well, five) of the shipwreck ones and did a quick tidy up on them. 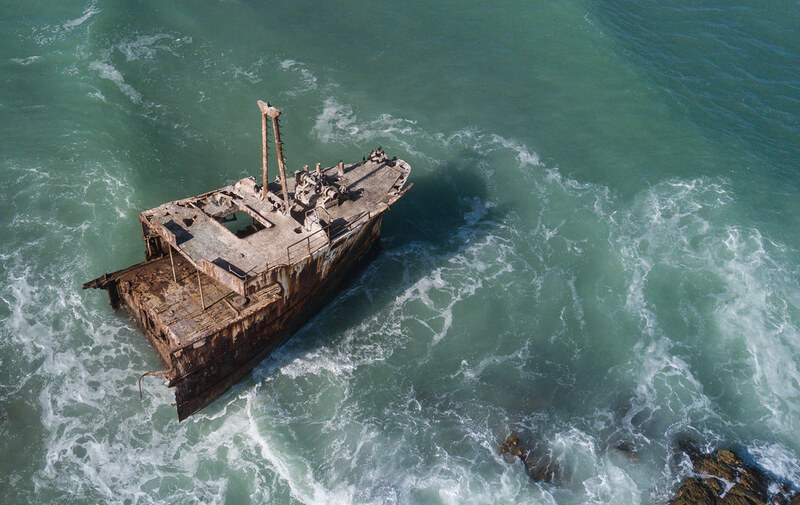 I took these with the Mavic this morning – the wreck is the Meisho Maru 38, and it lies on the coast halfway between L’Agulhas and Suiderstrand. We’ve mentioned it here before, and we’ve mentioned why it has some of the name it has… well… it had, here. But now my (usually very orderly) photostream on Flickr is all messed up. I will edit those photos from last weekend and the rest of them from this weekend in the very near future. UPDATE: You can start here! I’ve been after this photo for a while. 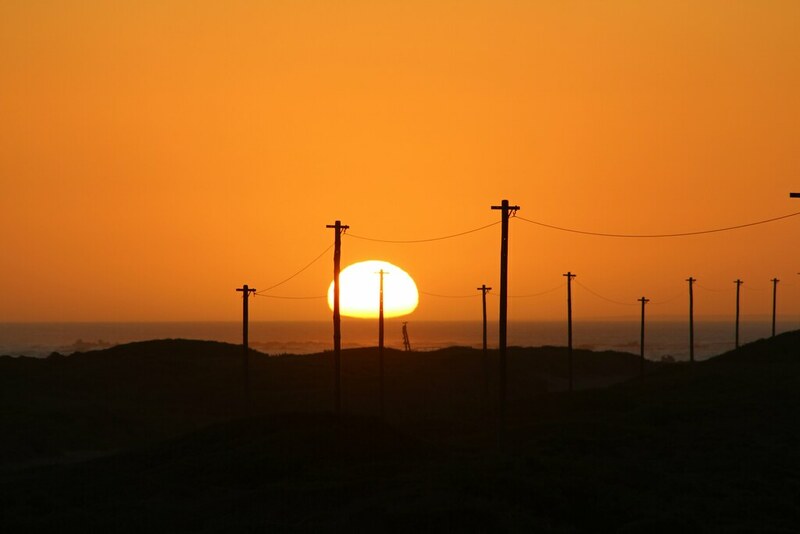 And then, yesterday evening, as we headed down the dirt road from Agulhas to Suiderstrand, I finally got it. It was one of those few moments that was worth halting the journey for, albeit that it was only for a few moments. This is posted unadulterated and raw. No filters, no cropping. As it was. Lovely. Try it with the lights off for an even better view. That thing poking towards the bottom right hand corner of the sun is the forecastle mast of the wreck of the Meisho Maru 38, and on top of that is a cormorant, wings unfurled. Sadly for you, I’ve been taking quite a few photographs since we’ve been down here, and you can look forward to them late tomorrow or on Monday. Author 6000Posted on April 9, 2016 April 12, 2016 Categories cape agulhas, flickr, positive thoughts, quota photo, this is south africaTags Meisho Maru 38, photograph, suiderstrand, sunsetLeave a comment on Got it! Wow. Was it just me and everyone else, or did January rush by like a seemingly quick month? All of which relativity means that it’s February and that in turn means number 2 in a series of… well… 2 so far of our monthly desktop wallpaper offerings for you. This one is part of the set that I captured and blogged here. But while the photo on that post was taken with my basic – yet perfectly adequate – cellphone camera, this one was with the real thing – or as close as I have to the real thing, anyway. Please download the 16:9 version by clicking here and I will try to be back on March 1st with another offering to titivate you for a further 31 days. You can see the original photo on black here. 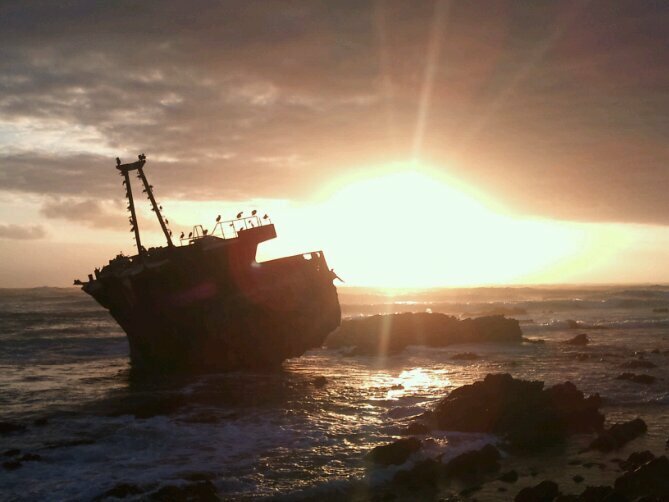 When in Agulhas, do sundowners at the shipwreck. Got it? 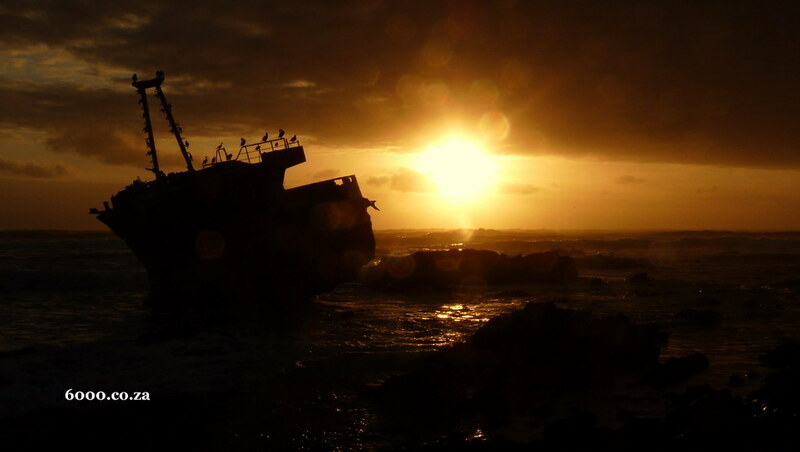 The Meisho Maru 38 ran aground between Suiderstrand and Cape Agulhas on 16 November 1982. Since then, it’s been slowly breaking up, and the bow now sits proudly on the shoreline near the Southernmost point, acting as a magnet for cormorants and photographers alike. Once the kids were safely tucked in, I took a large glass of red wine and headed out for a brief session of long exposure (the camera, not me). It was brief because I quickly ran out of red wine. In other news, I learnt, via Serendipity, how to resize images while posting from my phone.